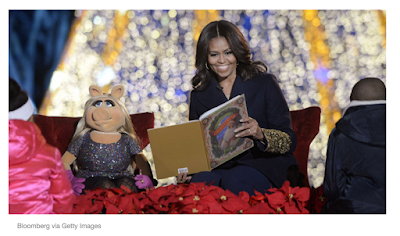 And it may be that the very best part of the whole thing is that while the First Lady refers to her reading companion as "Miss Piggy," Miss Piggy calls the First Lady simply "Michelle." Miss Piggy has always been known to keep it real. Just giving you another reason to love Michelle Obama.